SNAFU! : HIMARS Rapid Infiltration (HIRAIN) forcible entry mission? HIMARS Rapid Infiltration (HIRAIN) forcible entry mission? From Alert 5 via SubTimes. The Selah Airstrip at the Yakima Training Center will re-open to aircraft operations Nov. 15 at 11 a.m. The airstrip has not been used for fixed-wing aviation since 2003 due to pavement degradation. Renovation of the airstrip began in 2017. 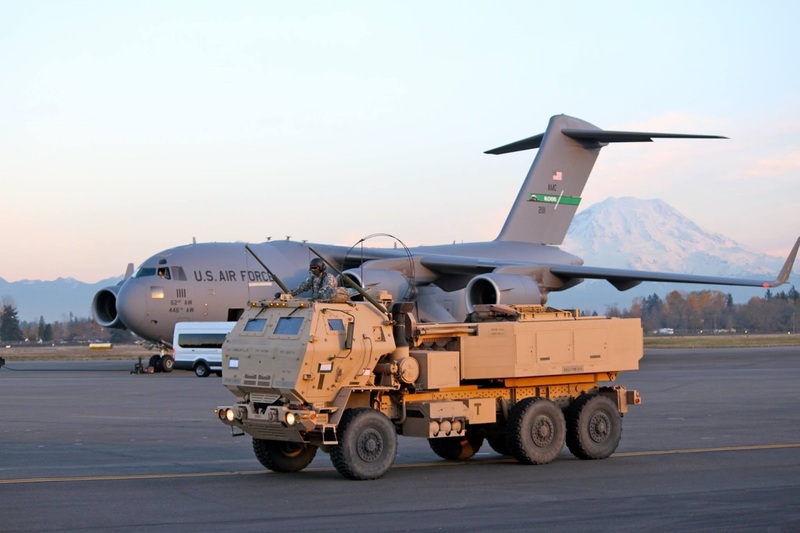 YTC will commemorate the airstrip re-opening with the inaugural landing of a 62nd Airlift Wing C-17 Globemaster III aircraft carrying a 17th Field Artillery Brigade High-Mobility Artillery Rocket (HIMARS) launcher, both from JBLM. The C-17 will land on the newly-renovated airstrip to demonstrate a joint HIMARS Rapid Infiltration (HIRAIN) forcible entry mission, the kind of training YTC can now handle. The HIMARS launcher will offload from the C-17, fire several Reduced Range Practice Rockets (RRPR) into the YTC impact area, and load back onto the C-17 for takeoff. Re-opening the airstrip to some of the U.S. Air Force’s largest cargo planes will expand training opportunities at YTC for Joint Base Lewis-McChord and military units DOD-wide. Since when has HIMARS Rapid Infiltration Forcible Entry been a thing? Is it just me or does this sound sketchy?